Heat tracing is just as essential as insulation in a temperature critical process. Unitherm can work with clients in making a decision to implement a steam, electrical or hot water tracing system for any project. 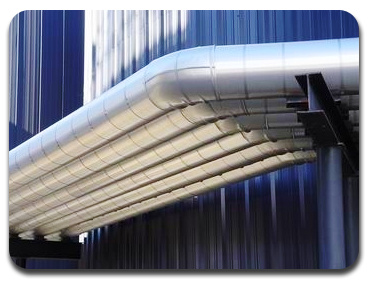 We possess the resources and knowledge to complete any type of heat tracing application from chemical storage tanks to process piping. Unitherm focuses on the execution of proven insulation and heat tracing methods to meet critical client schedules while enhancing reliability and accuracy. Unitherm provides professional services in oil and gas, utilities, specialty chemicals, pulp and paper, pharmaceuticals, and more .